Hope you have a special day and I'll see you later this week..
Keep them coming and I'll get through as many as possible." 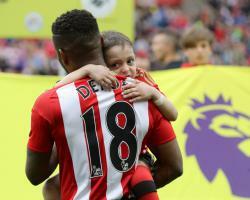 Sunderland posted: " Not only is it International Cup final day, but it's also a very special day for @Bradleysfight.. Many happy returns little man"